Despite treading diametrically opposite paths on tariffs and market access, India and China, along with other nations, have hit it off on talks regarding investment norms in the proposed Regional Comprehensive Economic Partnership (RCEP) pact. These refer to a broad range of legal and policy norms regulating the process by which an investing private entity from another nation may seek legal recourse in the event of a dispute with the state. The RCEP is a proposed pact between 10 Asean economies and six other nations (New Zealand, Australia, China, India, Japan and South Korea). So far, 23 rounds of talks have concluded, apart from six minister-level meets. “We are reducing the application of ISDS in the investment chapter. India is cautious with regard to any measure that allows the aggrieved party to approach an international tribunal of law due to bad experiences earlier,” a senior official said. Back in 2012, international investors in telecom companies, whose operational permits were cancelled by the Supreme Court in the wake of the 2G scam, had approached an international tribunal and sued the government for damages. While India avoided paying significant amount of the charges, the episode had dented the country’s reputation as an investment destination. Harnessing investments from the Asia-Pacific region had always been a target for India in the RCEP talks. In the last ministerial-level meet in Singapore, held in August-end, it was decided to not have ISDS applied on a ‘most favoured nation’ basis, the official said. This would mean that investment norms decided by India with one RCEP member nation may differ significantly from its agreement on investment with another. India also secured a commitment that ISDS will also not be valid on ‘prohibition of performance requirements’, that deals with technology transfer and royalty payments, sources said. 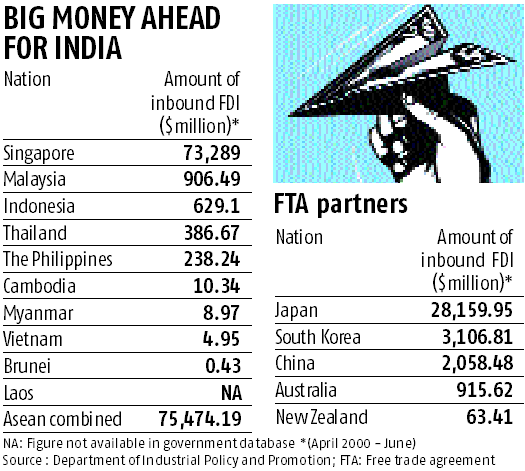 If the trade pact takes shape, India may be staring at a major influx of foreign direct investment (FDI) as the grouping includes the second and third-largest global investors – Singapore and Japan – apart from South Korea. The government is also open to the possibility of major inflows of funds from China. However, the RCEP talks on investment may not go hand in hand with India’s model bilateral investment treaty (BIT) as it only represents a ‘skeleton structure’ and can accommodate changes, the official said. From 2016, the Centre had terminated every BIT it had entered into earlier with various countries. New Delhi now maintains that all future investment pacts will be negotiated under the framework of the model BIT issued by the government in 2015. But most of those negotiations are not time-bound, and global investors – many of them from major investing nations such as the European Union (EU) – have complained of a legal vacuum. 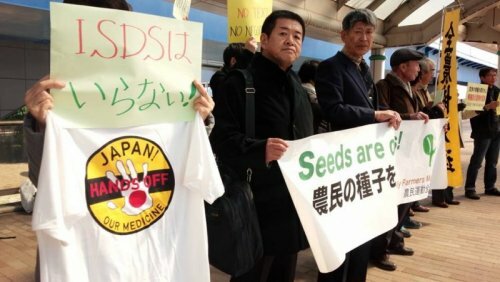 The ISDS continues to be the main stumbling block in any discussion. “The EU’s prime concern with the BIT is with the clause stipulating that if an investor-state dispute arises, a foreign investor can only seek the option of international arbitration when all domestic legal routes have been exhausted. While India feels this is required to keep a control on litigation and reduce the chances of extremely high penalties from international tribunals, the EU calls the Indian legal system slow and corrupt,” a senior Delhi-based trade expert said. For India, RCEP presents a platform to give a boost to its strategic and economic status in the Asia-Pacific region. Expected to be the largest regional trading bloc in the world, accounting for nearly 45 per cent of the global population and with combined gross domestic product of $21.3 trillion, it may bring the biggest economies of the region into a trading arrangement for the first time.